Started by Michael Harris in 1972 after leaving Mdina. Well this is a piece and a half. 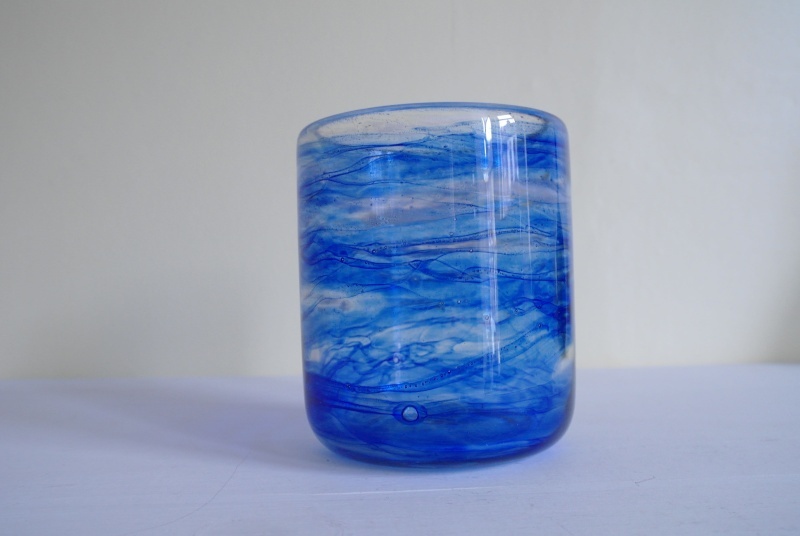 Approx 8 inches high and 8 inches across with swirls and speckle finish. 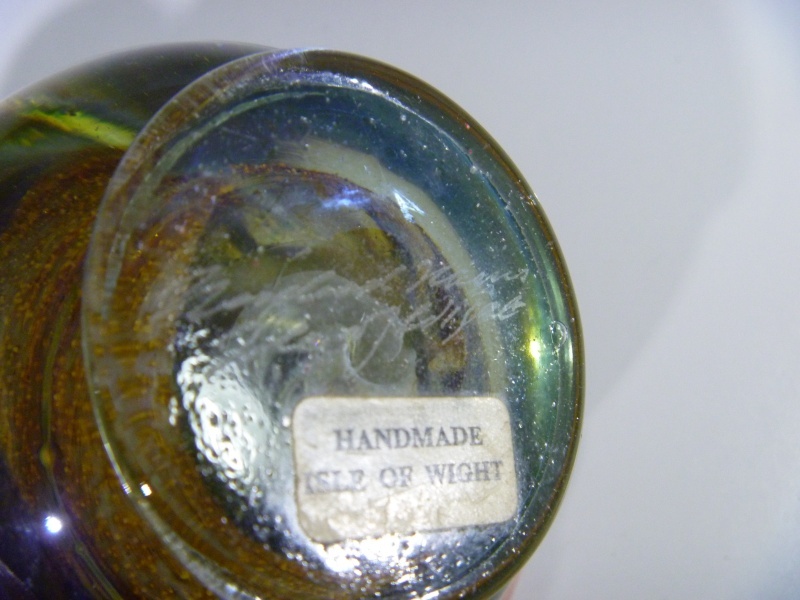 FLame mark in pontil and original label. 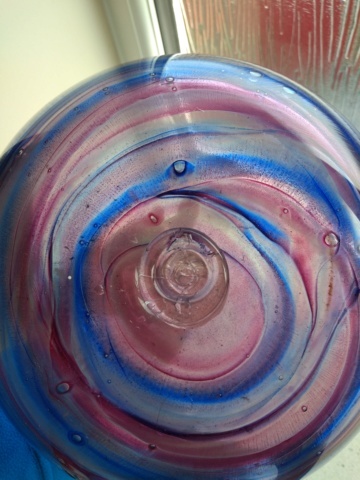 Mild irridescent shine on sections and rounded rim. Just a really impressive piece. It was a must buy item, though after 4 hours of carrying around my back was complaining. There's a few 5 inch ones around but those extra 3 inches are the difference between oooo and ahhh! 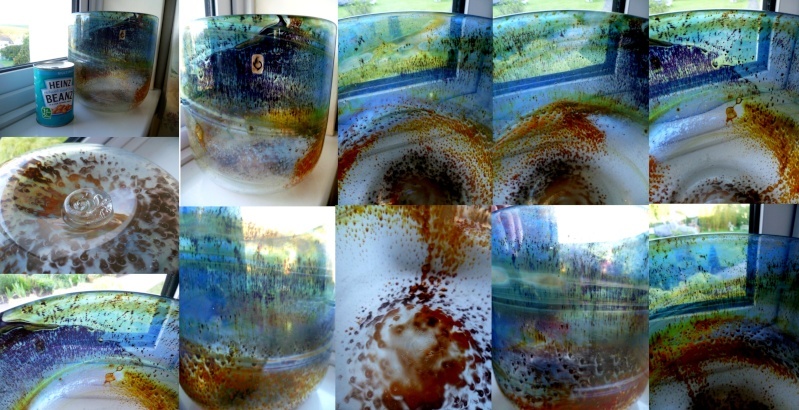 Isle of Wight or Kerry Glass - Flame Pontil Marked Vase? Just wanted to check out what you all thought of this. Maker, period etc? 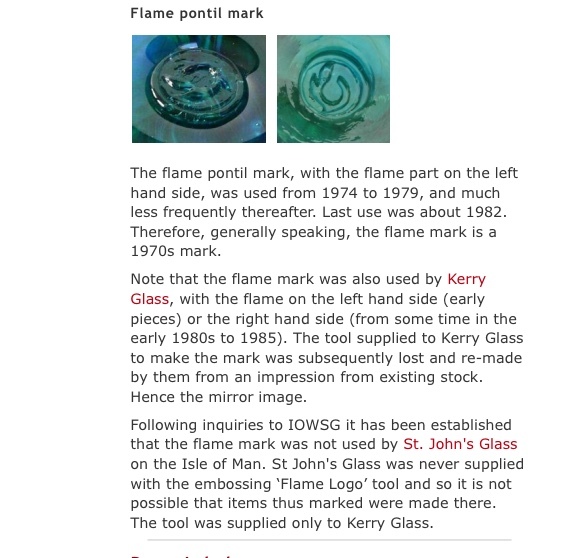 Definitely Isle of Wight, 'flame' pontil mark used between 1973 and 79. 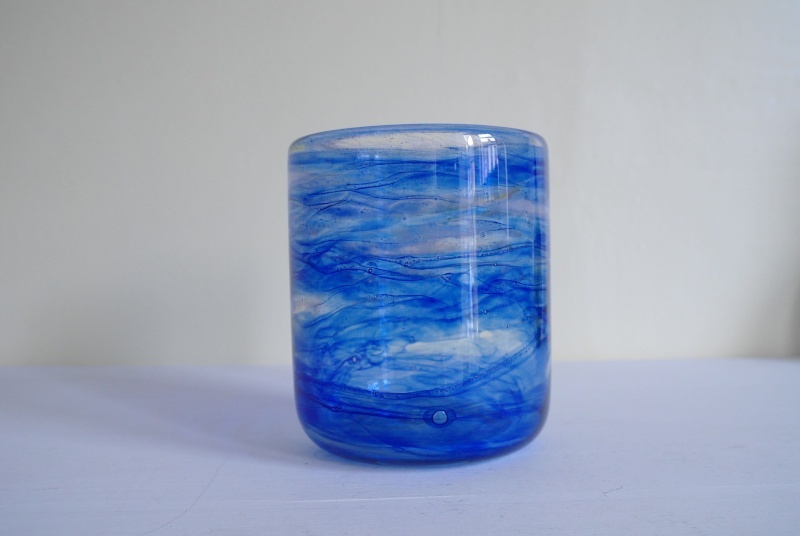 Blue and white swirls, with the slightly curved bottom the shape is likely a bell vase. 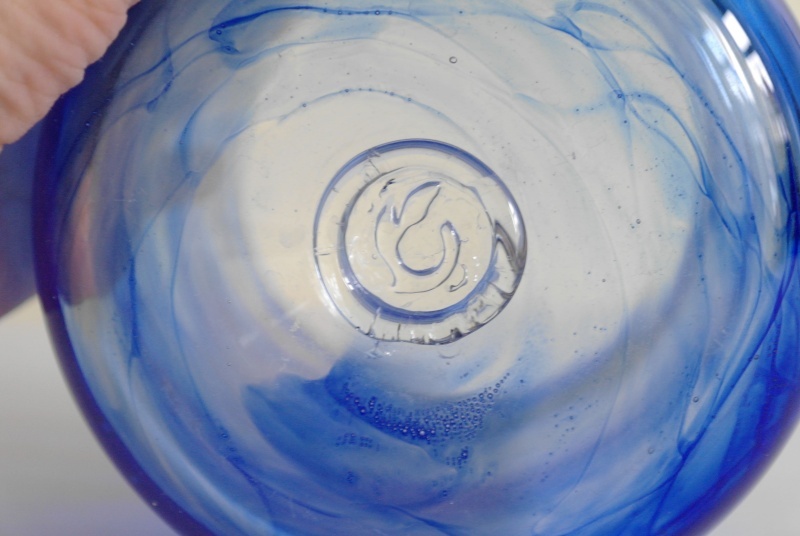 Interesting to see blue and white swirls with a flame mark as it is usually found, if at all, with a coach bolt mark. At the time, the precise dates that the marks changed and how long particular colours were used for was not recorded. 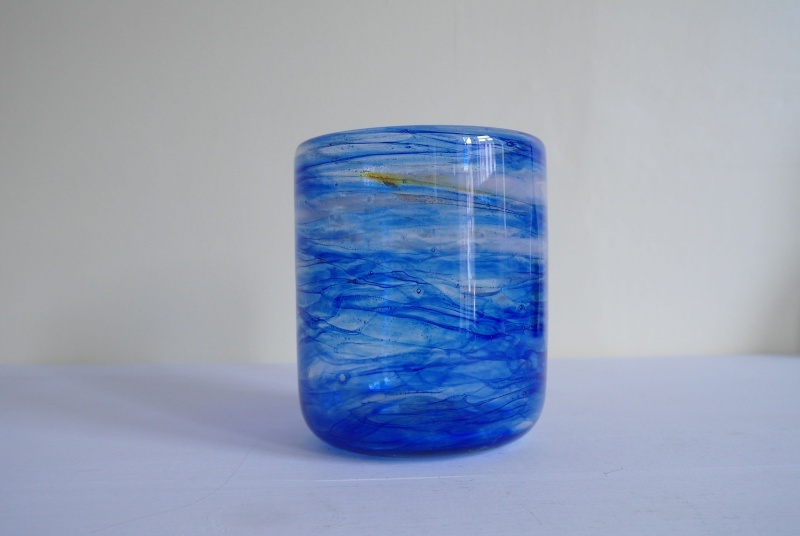 It was assumed that blue and white was only made in 1973 and that the flame mark was introduced in 1974 but there was obviously an overlap along the way. Nice piece of glass, how tall is it? Thanks for the info John. It's 4.5" x 4" diameter. 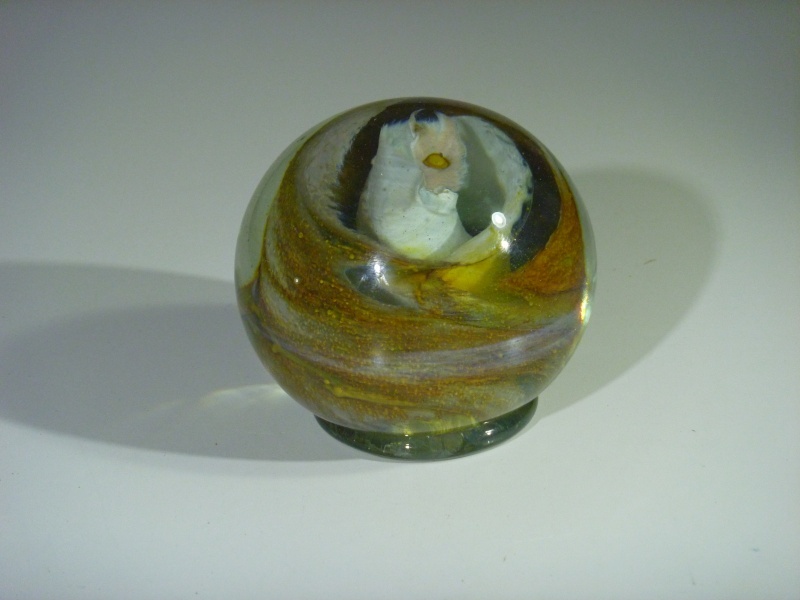 A small bell vase then, bell vases are usually around 4, 5 or 6 inches tall and very occasionally 8". 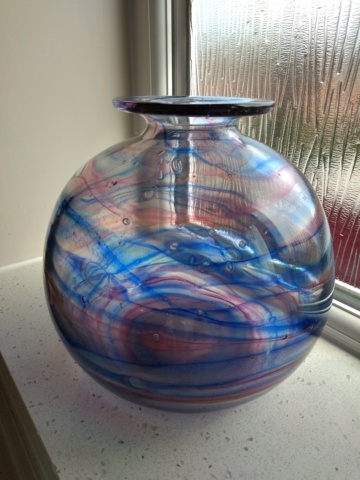 Large pink and blue swirl globe vase, flame pontil mark. 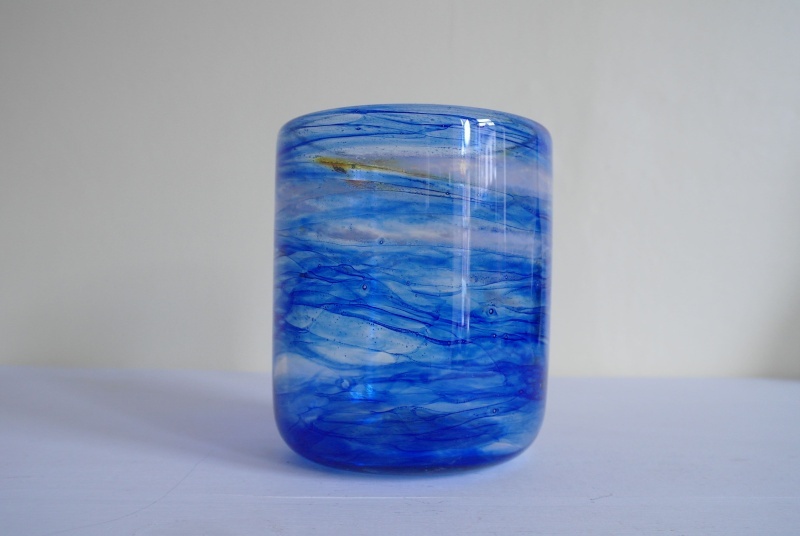 I believe it’s a Michael Harris design for Kerry glass.